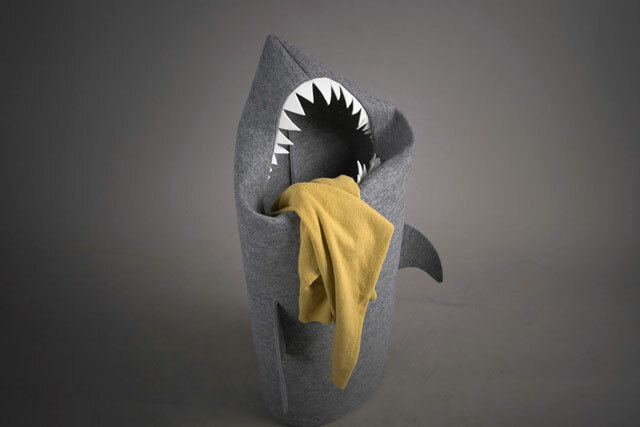 Polish designer Jolanta Uczarczyk of Etsy shop, Ultramaryna, has created Shark, a hungry pointy-toothed shark laundry basket made with felt. It is available to purchase online. The shark has a minimalistic character which strongly appeals to sense of humour and, at the same time, it is highly functional. It is a prefect decorative element both for small and big spaces, and both for modern or more traditional environments.